The climate of Mongolia is changeable. It is sunny and warm day time but it is cool in the evening in the summer. Therefore, you are recommended to make the arrangement for the tour types considering the climate condition. We are suggesting a detailed packing list for each tour as below. Please check the recommended packing list for the specific trip you are taking. 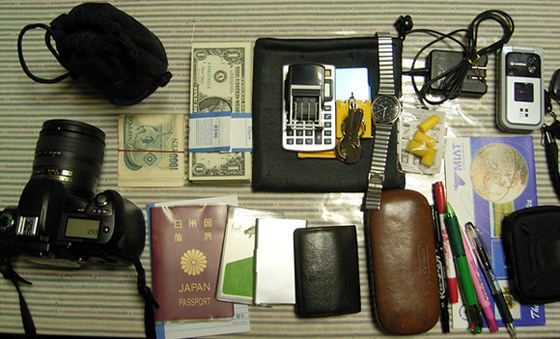 Overseas travel insurance It is required to get insured before the flight. Credit card It can be used for making payment in the restaurants and hotels in the city. Diary Do not forget to bring it. Rain coat or waterproof pants On rainy days, they are used. Vest It is better if it has many pockets. Trousers It is better if it has many pockets. Underwear It is better if it is made with cotton. Socks It is good if you have 4 pairs. Hiking shoes It should be light and comfortable. Sun hat/woolen hat It depends on the tour types. Warm sweater It should be worn when it is cool especially in the morning and evening. Gloves For horse riding this is very important. Travel towel It is one of useful items during your tour. Sleep wear It is very comfortable to wear when you stay in ger. Slippers It is very comfortable to wear when you stay in ger. Sleeping bag It is used when you stay in a tent. Sunglasses It is very useful item on sunny days. Pocket knife It is useful if you have. Tape It is useful if you have. Water bottle It is good to you if you bring it. Lighter It is useful when you stay in ger or tent. Torch It is useful when you stay in ger or tent. Alarm clock It is useful to make you get up if there is no clock in ger or tent. Camera Do not forget to bring it. Batteries Do not forget to bring it. Spice Bringing favorite spice is good to you when you have meal especially meat.